I will admit, straight off the bat, that Star Wars was not really on my radar for a long time. I was aware of it, certainly. I had seen the three original films and had rather enjoyed them, but I didn’t really appreciate them until their 1997 re-release at the cinema. Once I got to see them on the big screen, I fell in love with the Saga. The original 1977 Star Wars is a simple story in many ways. It’s often been noted that it’s the fairytale ‘boy goes off to save princess from the evil wizard and his dark castle’, just transplanted into space, but it works, and it sets the stage for something much larger. No one really knew if Star Wars would be a success back in 1977, so whilst the door was certainly not closed to a sequel, the film ended in such a way so as to allow for it to the end, if needs be. 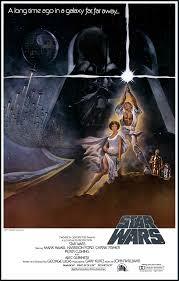 Thankfully, Star Wars proved to be a huge hit, and in 1980 The Empire Strikes back was released. 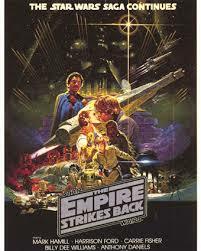 Prior to seeing The Empire Strikes Back in 1997, I had seen it on TV but I wasn’t really sure if I liked it. Once I’d seen it on the big screen, I knew I liked it. The iconic characters from the first film (Luke Skywalker, Darth Vader, Han Solo, Chewbacca, Princess Leia and of course R2D2 and C3PO) all returned, and were joined by Lando Calrissian and of course Yoda. It was a darker, tenser film than the first one, and it is regarded by many fans as the best of the films. It’s hard to disagree with that feeling. 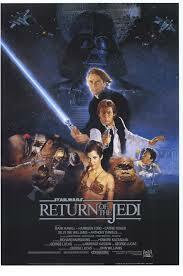 Return of the Jedi concluded the original saga, and for a long time this was my favourite of the Star Wars films. There was a little more brevity in this one, via the Ewoks, but with scenes like the Falcon’s swoop through the Death Star, Luke’s coming of age fight against Vader, and the epic fleet battle, it’s still a great film. If I were to describe the events leading up to this film as ‘hysterical’, it would be an understatement. Fans were eagerly awaiting this new film, the first new Star Wars film for nearly twenty years. It was always going to prove difficult to live up to the hype, but The Phantom Menace failed to meet expectations, with flat characters, lots of politics, and whole sections of the film that weren’t really needed. 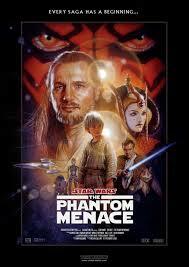 The battles were nicely done, but the general consensus of the fans is that The Phantom Menace was a let-down. Personally, I quite enjoyed it the first time I saw it, but its a film that grows weaker with each re-watch. 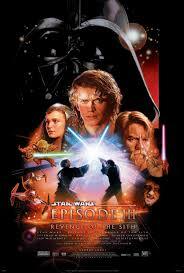 When doing a Star Wars marathon, I will watch it only for the sake of completeness, and sometimes not at all. 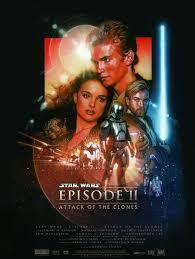 In 2002, we were treated to a new installment – Episode II, Attack of the Clones. This was a much better film overall. It wasn’t perfect by any means, and Hayden Christensen’s acting was painful at times, but the characters were more realised, the story more coherent and the film was infinitely more watchable than The Phantom Menace. It also gave us a great ground battle and a great fight in an asteroid field. The final installment of the new saga was released in 2005, and it ramped up the action significantly, as well as the intrigue. This was the culmination of the entire Star Wars saga, and it gave us what we wanted. We got the defining duel between Anakin and Obi-wan. We got battles between powerful Sith Lords and Jedi Masters. We got space battles, and Wookiees, and lots of drama. It was the payoff at the end of a long journey, and it was totally worth it. It was announced back in 2012 that Disney, who bought the rights to Star Wars, wanted to make three new films (episodes 7, 8 and 9). George Lucas is on board as a creative consultant, and filming is currently underway for Episode VII. VII will combine the original cast with new faces, and the story is, at the time of writing this, completely hush-hush. It remains to be seen whether making a ‘sequel trilogy’ is a good idea, but we shall see. I look forward to it!